In this book, Pastors Cesar and Claudia open their hearts and share experiences from their own success in marriage and testimonies from other couples whom they have helped throughout the years to obtain healing and blessings from God in their marriages. The success they have obtained in their own marriage gives them the authority to teach the biblical principles that will allow you to lift up a new generation for God. 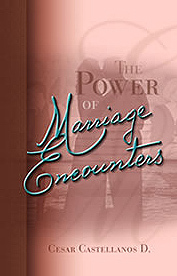 Every aspect of this enriching book will lead you to enjoy a new level of love, commitment and passion in your marriage.